Having lived her whole life in the city, 27-year-old Taeko (Daisy Ridley, Star Wars: The Force Awakens) decides to visit her relatives in the countryside. As she travels, memories of her youth resurface, and after meeting young farmer Toshio (Dev Patel, Slumdog Millionaire), she wonders if she's been true to the dreams of her childhood self. 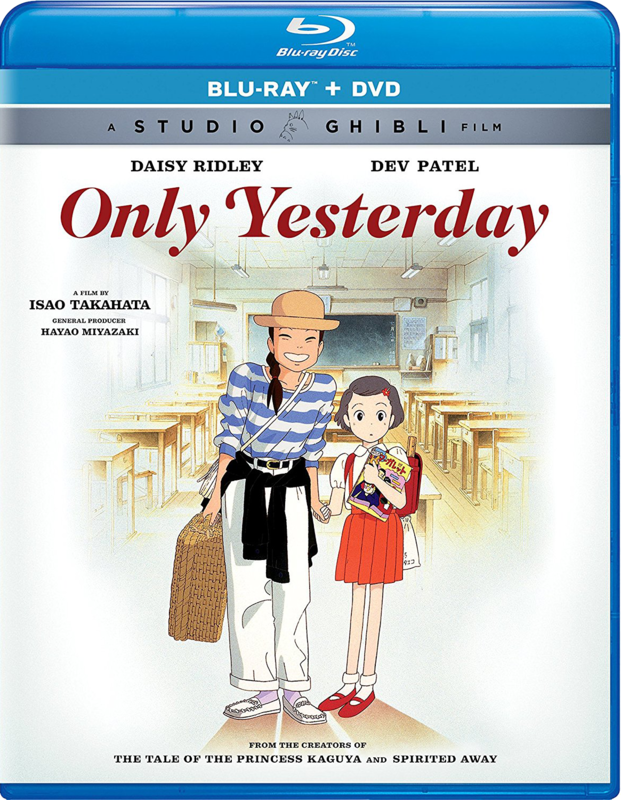 Deftly switching between past and present, Only Yesterday is a masterpiece of time and tone, rich with humor and stirring emotion, and beautifully animated by Studio Ghibli, one of the world's most revered animation studios. From Academy Award®-nominated director Isao Takahata (The Tale of The Princess Kaguya) and General Producer Hayao Miyazaki (Spirited Away), this critically acclaimed film has never before been released in North America until now – in celebration of its 25th anniversary.